Can you tell me about the Endowment Lectures - A.V. 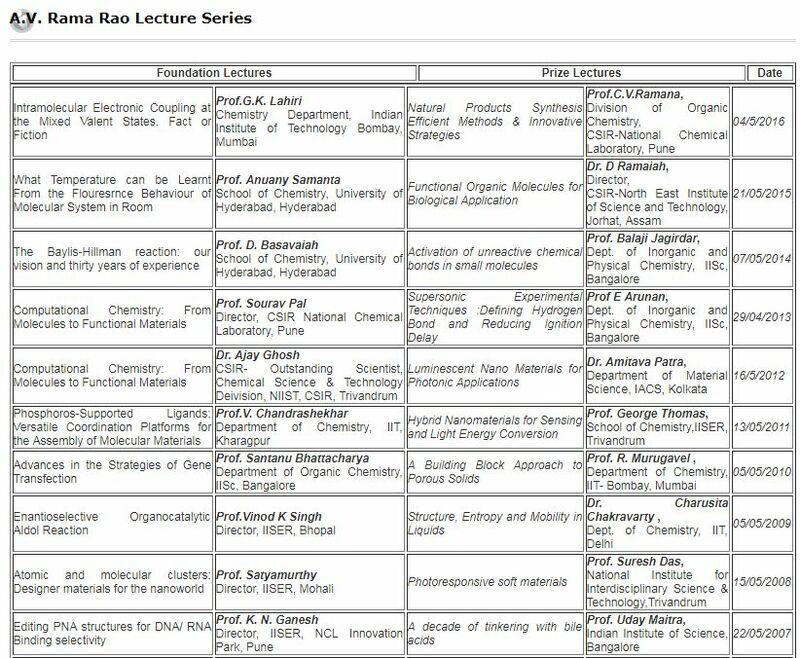 Rama Rao Lecture Series â€“ offered by JNCASR (Jawaharlal Nehru Centre for Advanced Scientific Research), Bangalore? Natural product synthesis: Is it relevant any more?